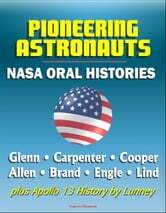 The fascinating oral histories of seven American astronauts - converted for accurate flowing-text ebook format reproduction - provide new insights into this historic program, with vital observations about an era of space history that changed the world. The interviews divulge new information and some long-held secrets; they are sometimes emotional, sometimes analytical, with revealing anecdotes, stories of supervisors and colleagues, experiences of spaceflight, and much more. Even serious space enthusiasts will find numerous "aha, I didn't know that" comments! In addition to the astronaut oral histories, there is a comprehensive chronology of the events of Apollo 13 written by flight director Glynn S. Lunney. 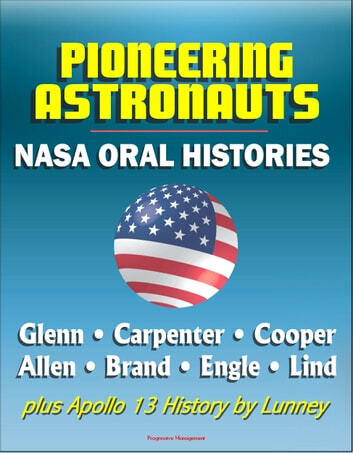 Astronauts in this set of histories: John Glenn, Scott Carpenter, Gordon Cooper, Joe Allen, Vance Brand, Joe Engle, and Don Lind.